Why Liquid Extract is Superior to Capsules or Powder? 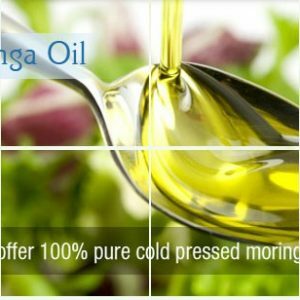 A quick and easy way to use Moringa in 450 mg veggie caps. 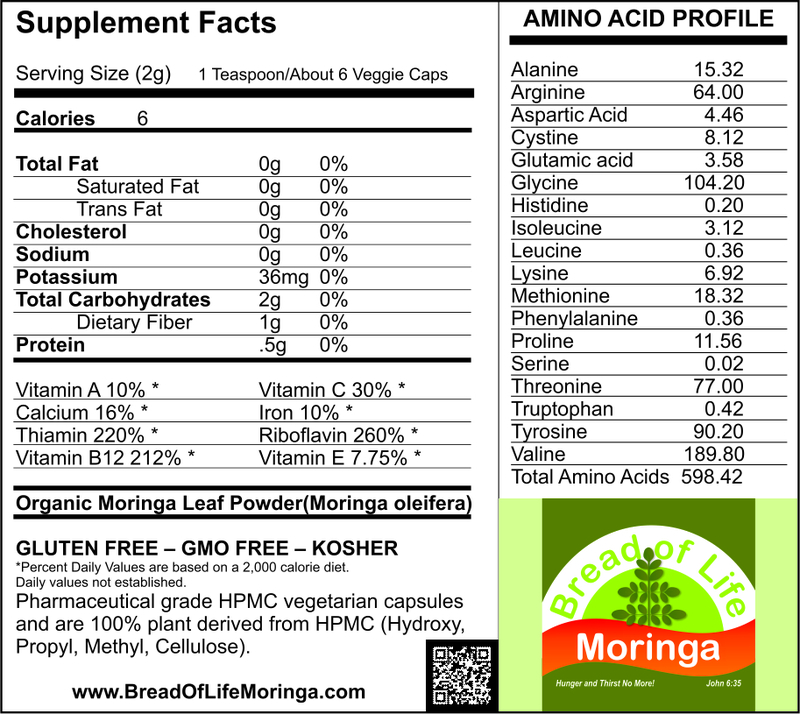 We use only Moringa leaf powder. We don’t put in additives of any type. We packed our caps in resealable foil bags which make them convenient to take with you. Suggested serving is 4-10 caps a day. Taking 10 capsules per day, a 600 capsule bottle will last two months for one person. That’s under $.80 cents PER DAY! Order yours today and save 10% for using auto-ship! 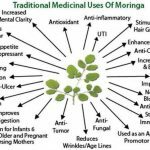 The Moringa tree is one of the most nutritious in the world. It’s natively found in the southern foothills of the Himalayan Mountains in Northern India. It’s the most SUPER of the superfoods! The most utilized component of the tree is the leaves which is what we sell in powder form. 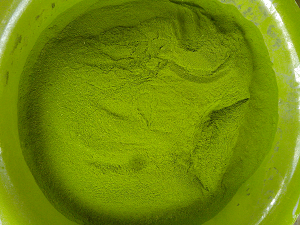 Our Organic Moringa Leaf Powder is picked by hand and shade dried in the field. 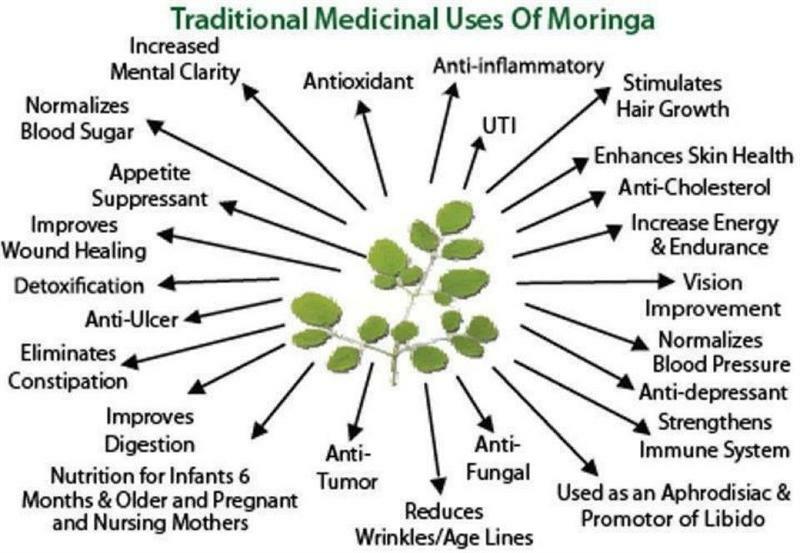 Moringa contains more than 90 nutrients including 46 powerful antioxidants and 36 anti-inflammatory compounds, It contains 20 types of amino acids (including all 8 essential amino acids) and is a tremendous source of bio-available minerals, vitamins, macro and micro nutrients, trace minerals and phytonutrients. It is also a good source of protein and dietary fiber. Scientific research confirms that these humble leaves are a powerhouse of nutritional value. 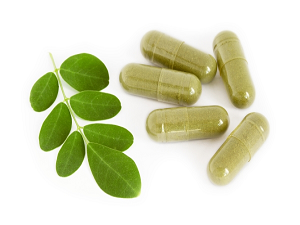 Gram for gram, moringa leaves contain: SEVEN times the vitamin C of oranges, FOUR times the calcium of milk, FOUR times the vitamin A of carrots, TWO times the protein in milk and THREE times the potassium of bananas. 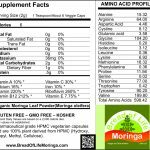 Moringa helps with balancing cholesterol levels and blood sugar levels (hence it protects against diabetes), boosting immunity, stimulating metabolism, aiding in digestion, promoting a feeling of well-being, and assisting in weight loss. It’s also a great energy booster, anti-bacterial, it protects the liver and kidneys, provides fast recovery after grueling workouts, and it can be used as a water purifier and due to its amino acid content. 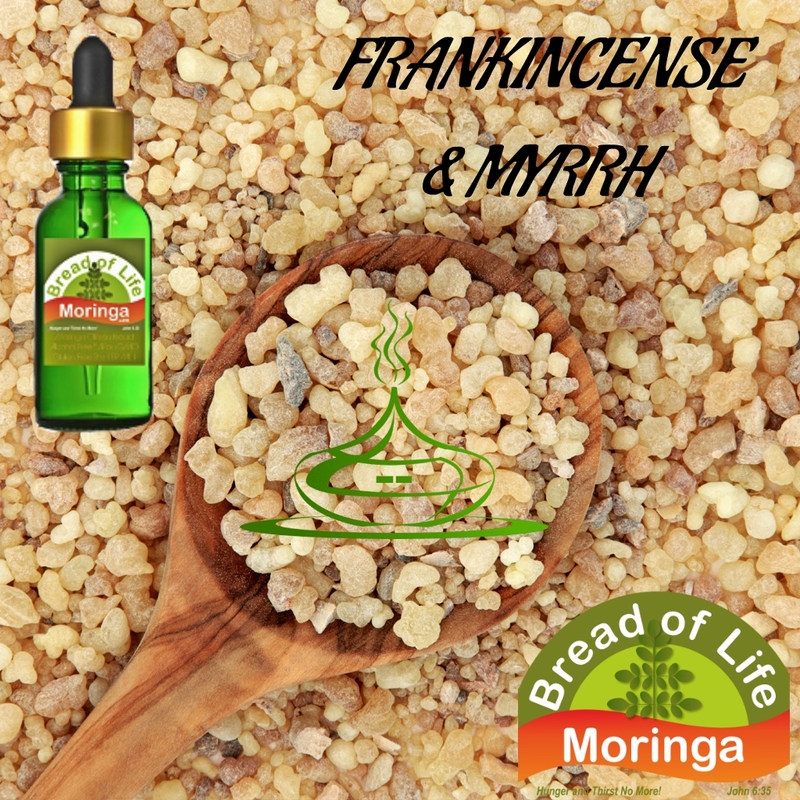 Moringa can be added to smoothies, sauces, teas, beverages, sprinkled on food or used in salad dressings.